The hammock designed by BLESS is repurposed to become a musical instrument and amplifier, the ultimate performance tool. 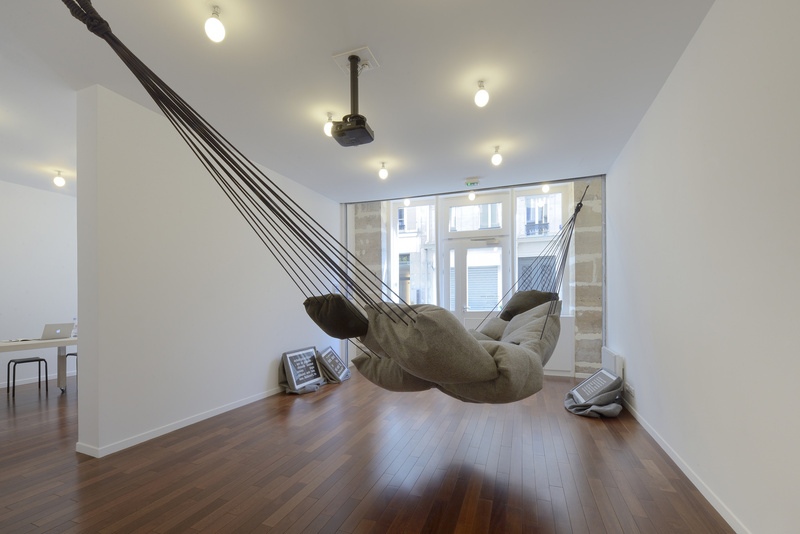 The visitor can not only sit on the hammock but also “play it” by moving the large pillows the hammock is made of. 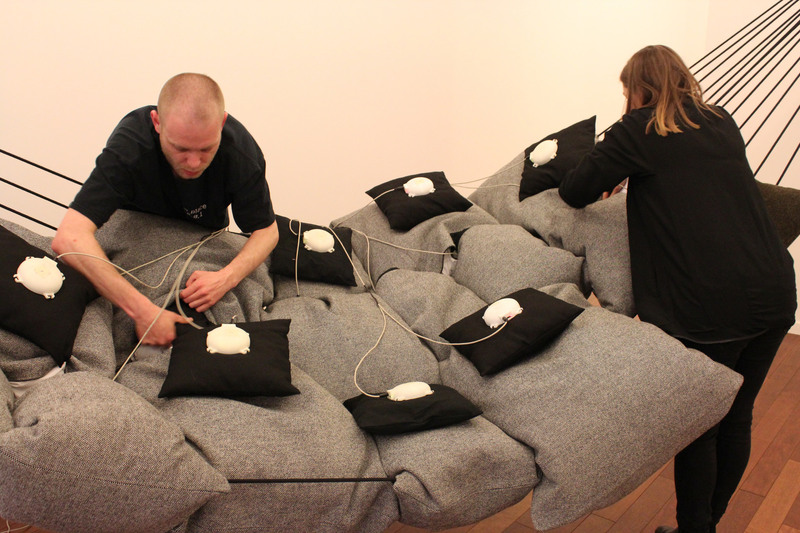 The first edition of “Melodized Pillow Hammock” has been developed already, but had to be updated for the new exhibition called BLESS N.53 CONTENTTENDERS. To redevelop the software with new functionality in puredata and add new music loops.